There are a lot of conventions these days in Belgium, where the main focus is to provide a lot of shops, meet and greets with actors or other activities, mostly in an inside location. Next to these events, there are also fantasy fairs. Belgium only had one such event, called Elftopia, but there is a new one joining the scene. 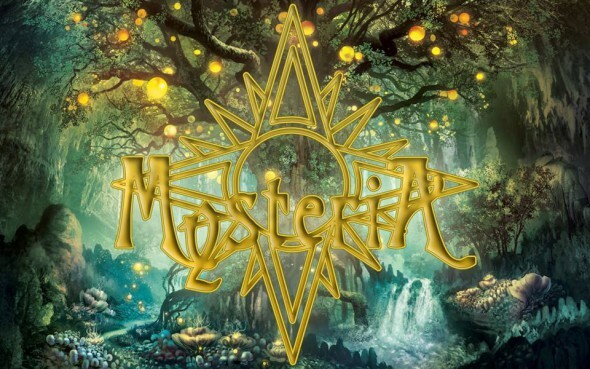 We had the pleasure to visit MysteriA, a fantasy-oriented get-together. Let’s sprinkle you with fairy dust and fly you through the event. The location for this fantasy fest was a beautiful forest-like location not far from the station from Aarschot. There were some open areas, filled with greenery and flowers which was perfect for taking pictures. The stage was located in the middle of one of the bigger areas, with chairs and tables in front. Of course, there were more people attending, so a lot of the attendees chose a nice spot in or out the sun, right in the grass. One side of the field was reserved for the different shops, a lot in theme of medieval style. For example, you could get some mead or buy some wooden swords and other toys for your children. Also, there were other shops that provided more magical goodies like Harry Potter-themed 3D puzzles. If you like owls or other predatory birds, you could get close to them and even let them on your arm. 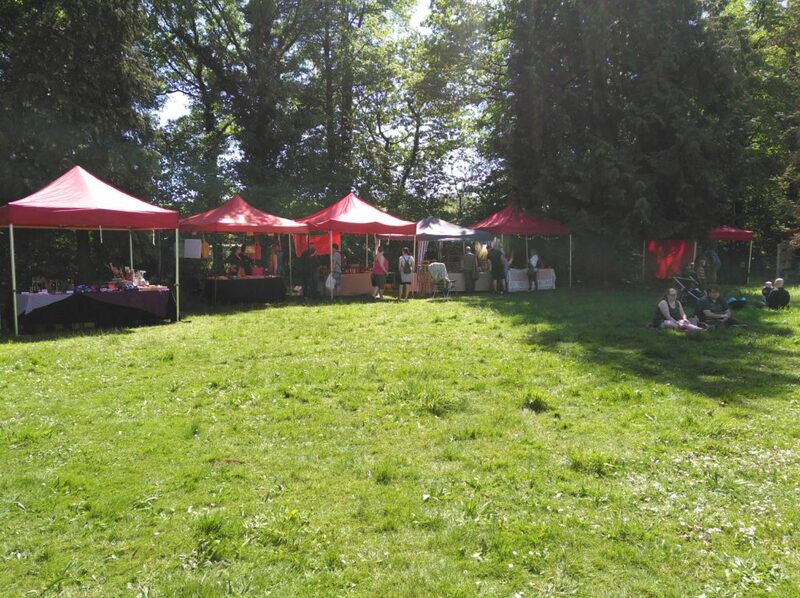 Going a bit further, there was a whole area filled with tents, steampunk accessories and props. The layout of the event could have been a bit better, as some parts of the fair were a bit remote and the huge field would have been nice to have everything like a small town. Of course, it is the first time the event took place so this is still a learning process. Upon entering there were some simple but pretty decorations that just screamed spring, followed by some nice food stalls that had a variety of things to eat, like some Thai or fresh fruits. This might not sound like something fantasy-related, but there was also a barbecue at the end of the day. You could buy a specific ticket that gave you access to this eating delight. You could just get your food and eat it together with your fellow attendees or friends on this nice location. The stage was used for several acts and even a cosplay catwalk/competition. From Irish tap dancers to belly dancers, there was quite a lot to see and hear. If you were more into metal or soft rock, there were bands there that definitely fitted the scenery and would fill your need for something different. Showing off costumes certainly is something fun to watch, especially when it fits the theme. Due to certain circumstances, there were some delays here and there so the schedule was a bit scrambled but this is just something small and is part of the learning curve. 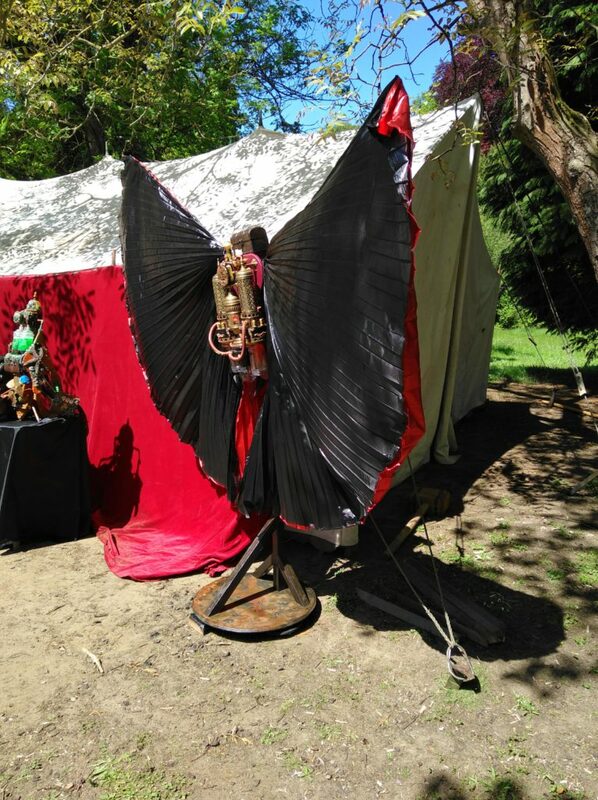 The organization tried to bring life to a new fantasy fair event and for a first time, they did a great job. The different shops were fitting in this theme while the several acts were perfect for setting the mood. The food stalls provided some nice snacks, although the barbecue felt more in theme. Of course there were some small hiccups here and there but as this is the first time this is being organized, we’re full of hope for the future and we’re looking forward what the event next year will bring.